The design challenge was to change this “back of house” appearance and create a new main entrance to Mercy Hall from the student’s perspective. The 75’ stair tower provides a vertical circulation space that links easily to other campus facilities and student activities within Mercy Hall. 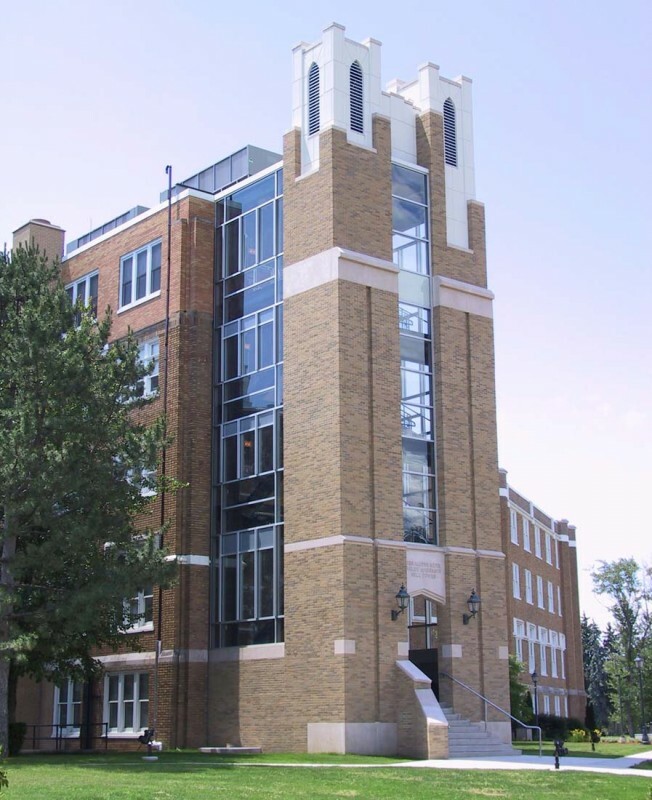 Using brick, precast concrete and aluminum curtain wall, the aesthetics of the Bell Tower respects the design of the existing administration building and library while looking towards the future.